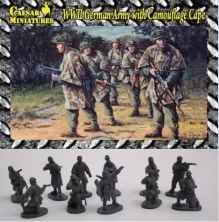 Set HB04 WWII German Army with Camouflage Cape - LIMITED EDITION 2011. Contents 34 figures in 11 poses. Material Plastic.